"The stories you are about to hear are just a few voices from the many newcomer youth who are often forced to integrate into Canadian society while their individual stories go unacknowledged." Created by a group of youth at YOCISO - the Ottawa Community Immigrant Services Organization's Youth Program - with artist Allan André. This video addresses the theme of refugee youth experiences within the Canadian education system. The hope is that the video will be used as a public education tool in raising awareness of the experiences of refugee youth in our schools and create more understanding of the challenges refugee youth face once they are resettled in Canada. They also hope that the stories in this video will highlight the resilience of refugee youth and how their difficult experiences also contribute to their strength and ability to not only survive but thrive. This video is an opportunity for refugee youth, whose stories and individuals experiences are often not heard, to share their own experience and concerns without having others to speak on their behalf. To ensure this, YOCISO emphasized that each individual share their thoughts and lived experiences unabated and without censor. YOCISO programs are specifically designed to assist immigrant youth, ages 13-24, with their settlement and integration process in Canada. 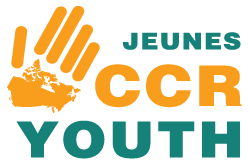 Through this process, these youth gain the necessary skills to achieve their goals, as well as develop a positive mindset to begin to overcome the challenges they may be facing so that they can contribute to the Canadian society. These programs are offered both at the elementary and high schools levels in the Ottawa area, community health centres, and at OCISO.